Visitors to Tenerife are amazed by this volcanic island's breathtaking sea views, the large number of sunny days each year and by the magnificent coastal scenery. With a stay at Club La Costa at Monterey, visitors love the incredible ocean views and fabulous experience that this resort provides. Nicely decorated private balconies feature comfortable sun loungers for uninterrupted sunbathing opportunities. 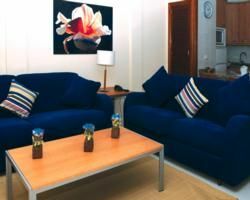 When visitors take the opportunity to buy a Tenerife timeshare for sale with Club La Costa at Monterey, they know they will receive a quality holiday for their money. Visitors adore the accommodations of Club La Costa at Monterey for its quaint seaside ambiance, brilliantly fused with modern amenities. Everyone will appreciate plasma TV's, kitchens featuring a microwave, refrigerator, coffee maker and dishwasher. Living and dining areas and separate bedroom space make for an ideally comfortable experience. Resort amenities include a swimming pool, 24-hour security service, concierge and reception area, a well-stocked market to pick up essentials and a delightful cafe with tables situated next to breathtaking views. A short walk to the beach lets visitors enjoy water sports and beach activities. Near the resort, there are golf opportunities and a casino. Animal lovers are thrilled to visit nearby Loro Parque with its collection of parrots, a man-made glacier featuring native sea life including penguins and sharks, family-style live animal shows, a nearby local market and a kid's playground. A breathtaking experience awaits travelers to Los Gigantes Cliffs, a majestic site that is a must-see for visitors. A short boat ride takes you near the cliffs for a close up view. 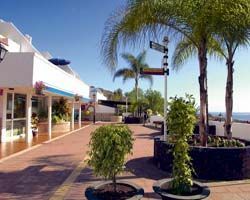 Once people notice a Tenerife timeshare for sale, they know they need to take advantage of the opportunity to buy. Then, they'll experience this renowned destination at its finest any time they'd like to return to this sunny, nature-filled locale. Contact Club La Costa at Monterey Specialist Today!